The road safety message was released after the high death toll that Irish roads saw over the past week, including four young men killed in one crash in Co. Donegal on January 27th. Garda vigilance and activity across the country will focus on offences that most significantly contribute to road collisions, particularly driving while intoxicated and speeding. So far in 2019, 634 drivers were arrested for driving under the influence of alcohol or drugs. Gardaí will continue to test as many people as possible at Mandatory Intoxicant Checkpoints in order to combat the offence. 5,708 Mandatory Intoxicant checkpoints and 27,665 breath tests have been conducted throughout the country since the beginning of 2019. According to the RSA, in 2018 there was a total of 150 fatalities on Irish roads. “We cannot afford to be complacent in any manner and I appeal to all road users to be extra vigilant – in particular on dark evenings and while using unlit or poorly lit roads. Be safe, be seen, be careful and be on the alert for other road users,” Chief Superintendent Finbarr Murphy of the Garda National Road Policing Bureau. The fatalities included a man in his 80’s in a single vehicle collision in Co. Kilkenny on the weekend. On Friday Joseph and Louise Waller, both in their 70s, died in a single car crash near the Monaghan and Armagh border. 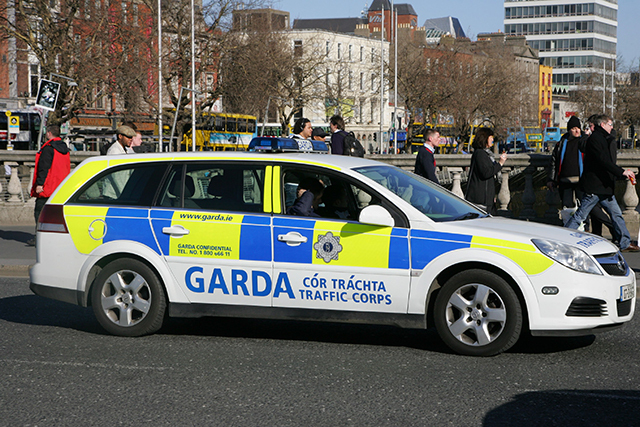 On Thursday, a pedestrian in his 40s died after he was struck by a vehicle on the Dublin Road in Co. Kildare. Earlier that day a passenger in her 80s died in a collision in Co. Galway and Jackie Griffin from Co. Dublin was killed in a collision on the M50. Murphy stated: “An Garda Síochána is deeply saddened by the horrific death toll on Irish roads over the past week” and that recent fatal crashes are still subject to forensic collision investigations. To date in 2019, over 2.9 million motorists were monitored by safety cameras, with 9,343 detected speeding. An Garda Síochána are continuing to work with ‘GoSafe’ to tackle the dangers associated with speeding. The development of speed cameras combined with An Garda Síochána’s speed enforcement activities are a key strategy in reducing road fatalities.